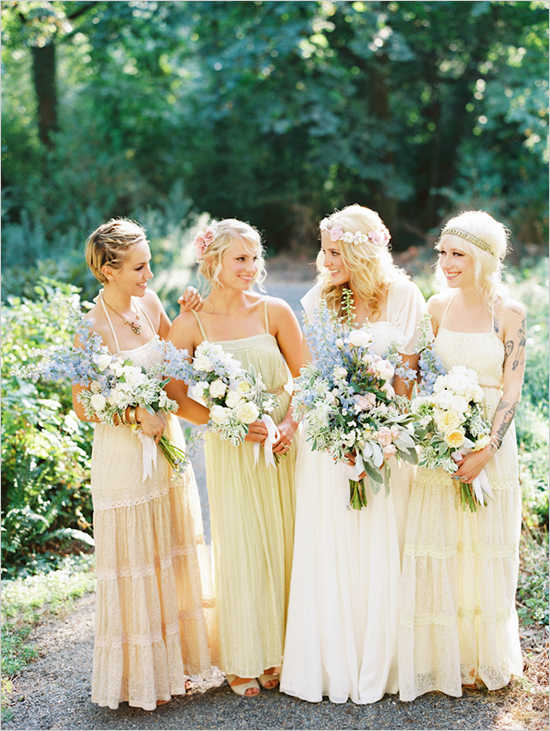 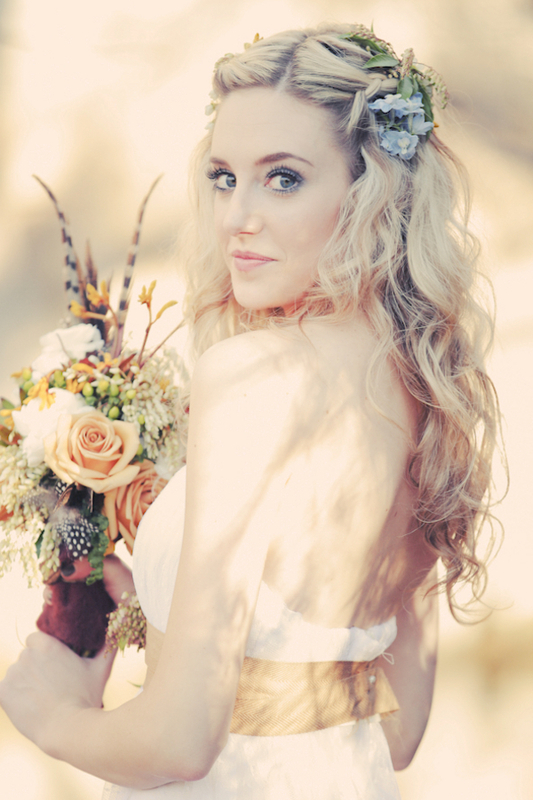 Bohemian Chic is quickly catching the eye of many brides. 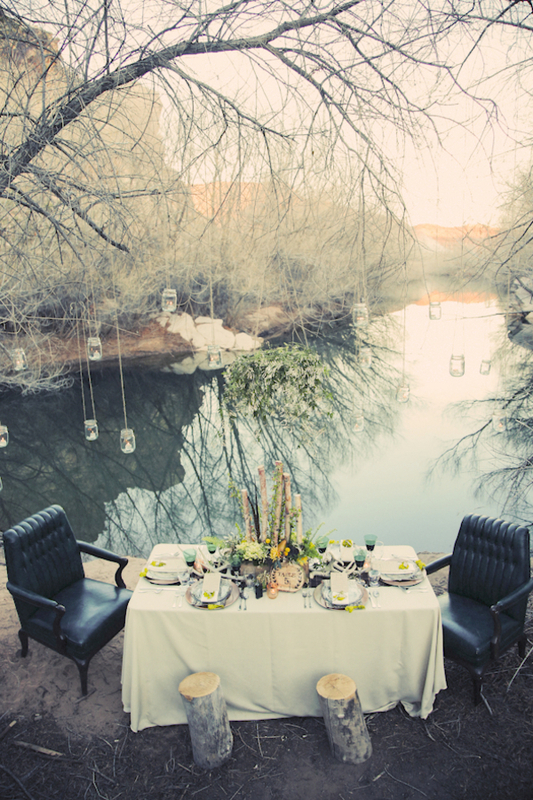 “Outdoorsy” & informal, this style includes loose, flowing hair styles, natural floral and rustic furniture. 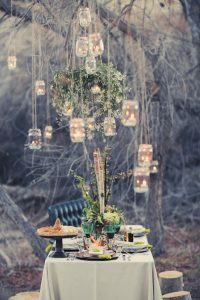 This new trend is definitely one to look out for and can set the vibe for a UNIQUE and DISTINCTIVE wedding ambiance. 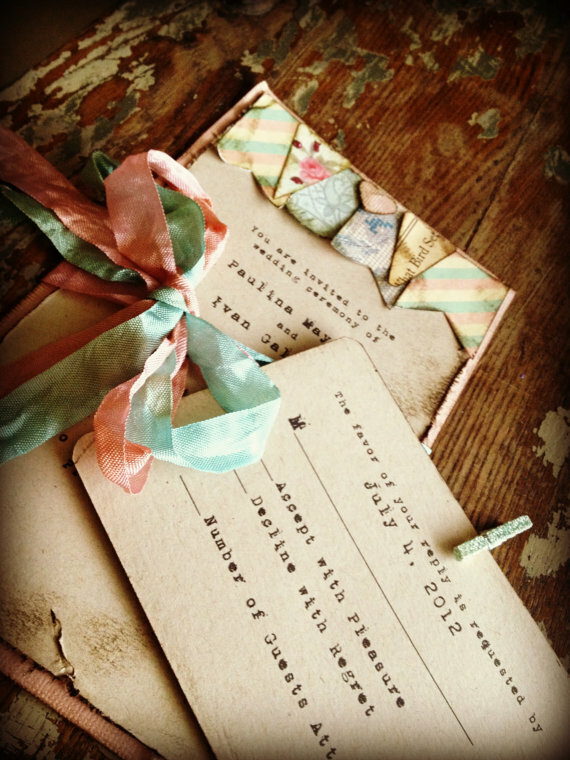 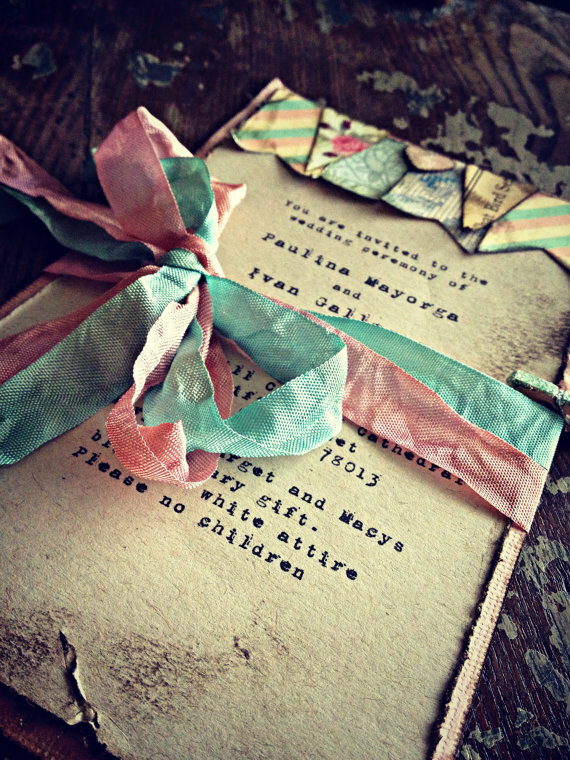 Letter pressed invitations on handmade papers with a woodsy look set the tone for a Boho Chic wedding. 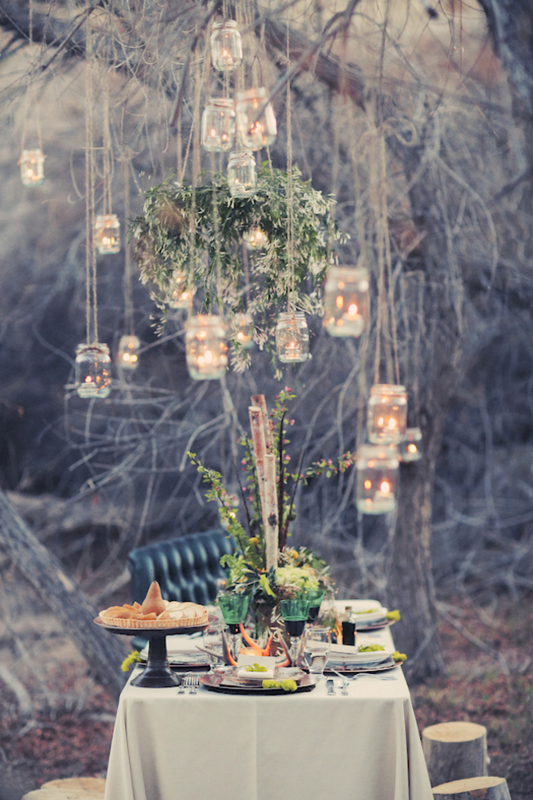 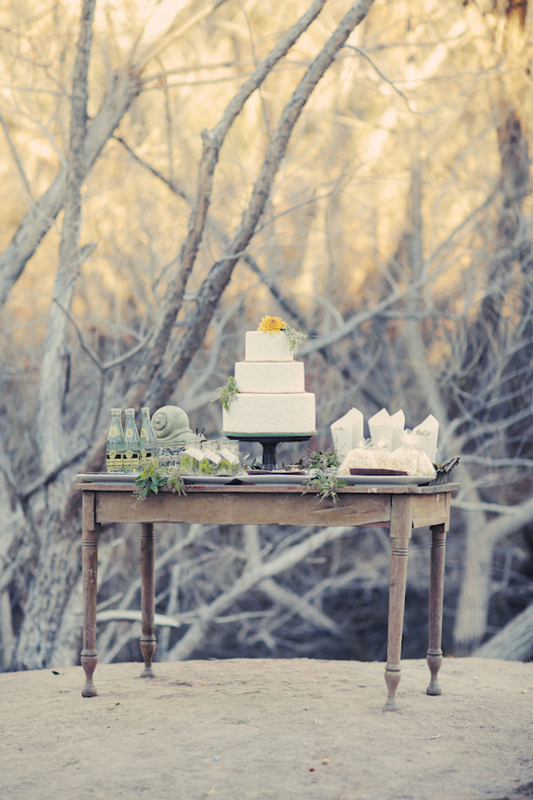 Artsy touches such as this old wooden table for the cake display and hanging mason jars filled with tea light candles, combine to create a hippie-like ambiance. 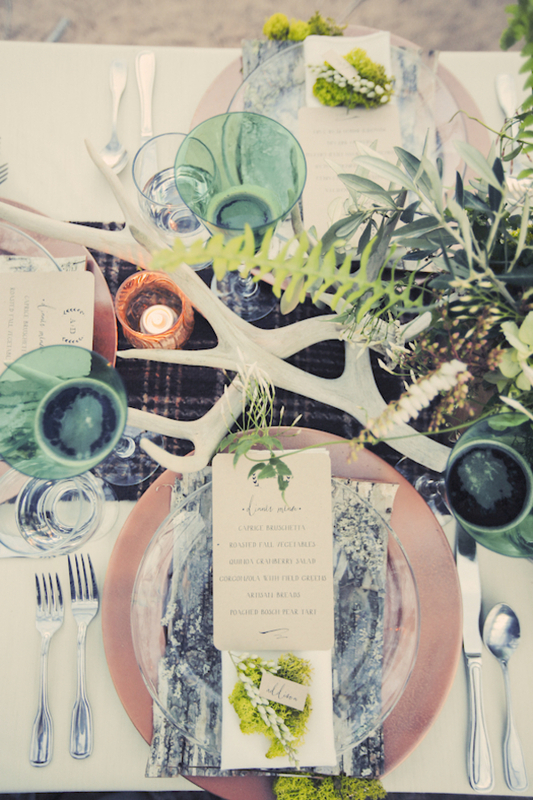 Incorporating branches and wooden table numbers into the table settings and floral decor, promotes the Boho style. 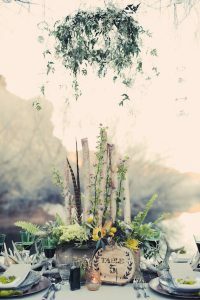 In addition, a look of “contrived dishevelment” is achieved with loose natural flowers, flowing greenery, along with feathers and ribbons. 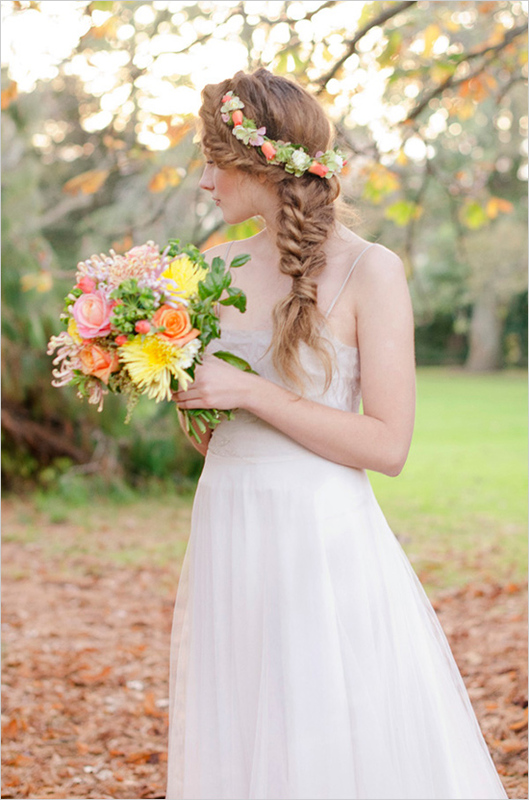 Hair styles reflect this natural look and can include free flowing loose curls and an untidy fish tail braid accented with floral and greenery. 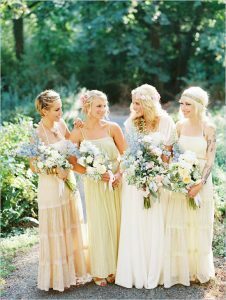 Bridesmaid dresses can include loosely fitted, shear and lace fabrics in a wide range of colors and lengths. 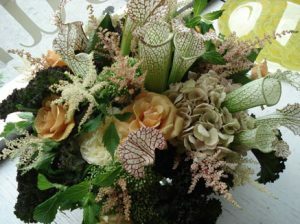 The designs are simple and unconstructed. 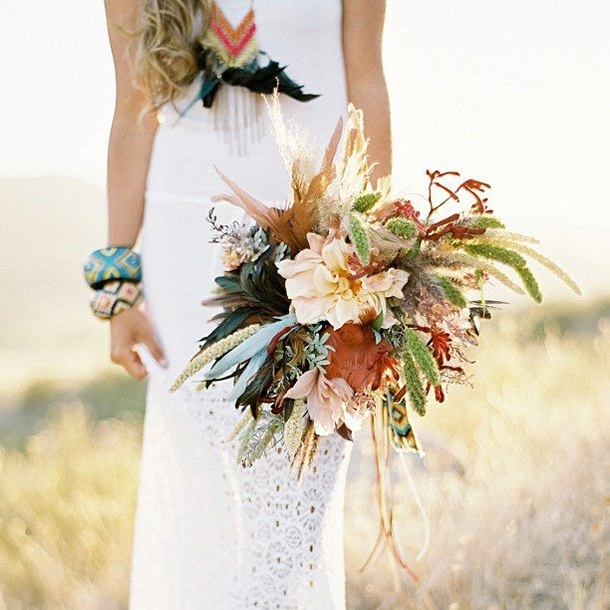 Peasant style clothing along with multi strands of beads, bangle bracelets and hoop earrings are typical of the Boho Chic attire. 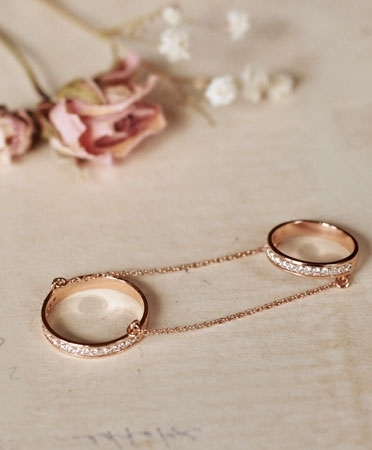 A special final touch could be the double eternity bands, chained together for an edgy and stylish bride (Meredith Kahn’s design). 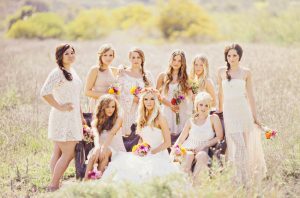 Boho Chic is a historical trend from the past that reappeared as the beatnik style and in the hippie culture of the 1960’s. 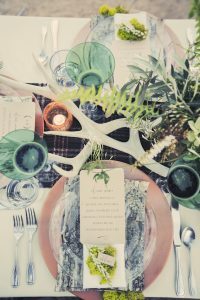 Weddings that reflect this look can be FUN, UNIQUE, and CREATIVE! 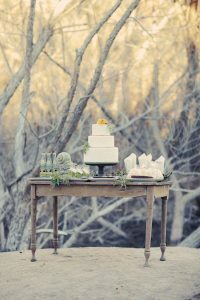 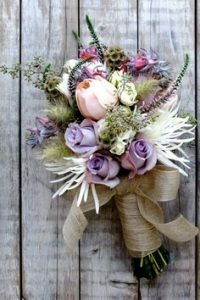 Thank you to The Frosted Petticoat Blog, Asrai Garden, Meredith Kahn, Wedding Chicks and Etsy for their beautiful pictures.